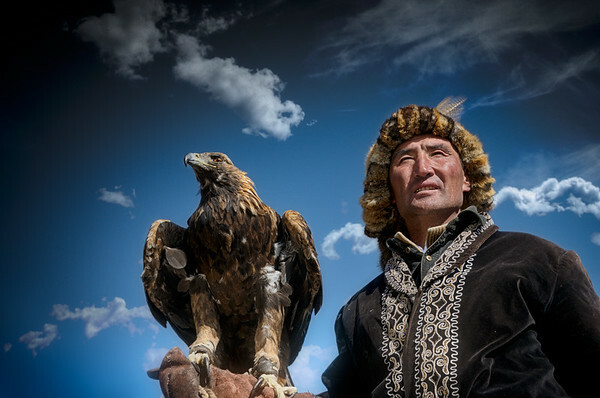 A proud tradition of hunting with Golden Eagles raised from chicks, which still survives today. 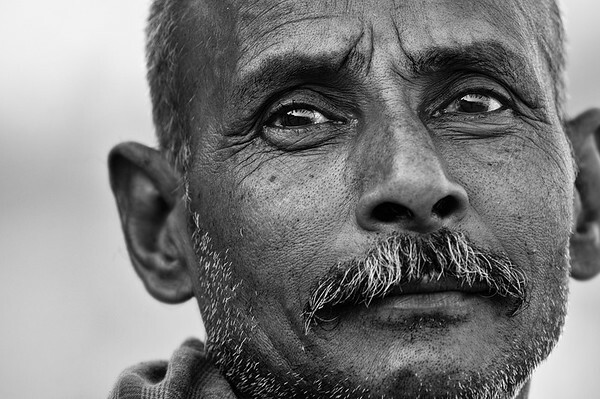 This is one of my favorite portrait shots from our time in India. 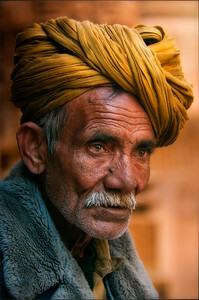 We'd been walking the street of Jaisalmer in India's Rajistan when I spotted this older gent. 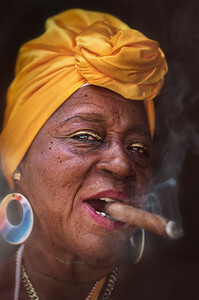 The texture of his face and the colour of his turban, for me, make the shot. In the lower southern half of Mongolia, we rode to a region known as the Flaming Cliffs, a wall of mountain that is lit fire red by the setting sun each evening. We met and spoke with a local man who had given up herding sheep to whittle wood. 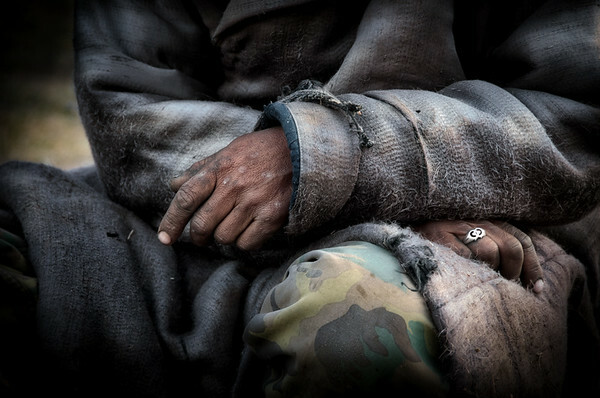 His worn and weathered hands fascinated me. Walking the streets of Hampi a small town in west India I spotted this little boy with a cheeky smile. He was having the time of his life on a swing he had made from an old string that he's collected from the steaming mountain of rotting trash 1 block away. 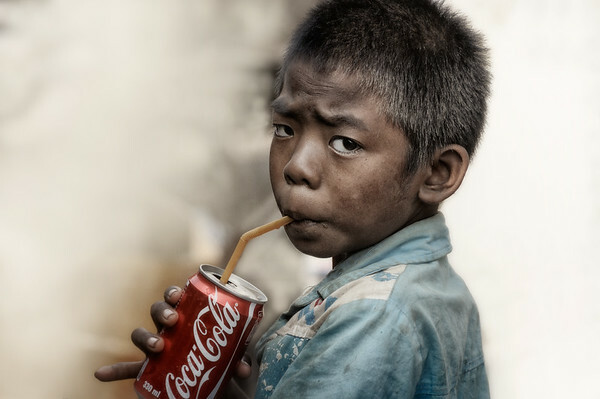 A different world? 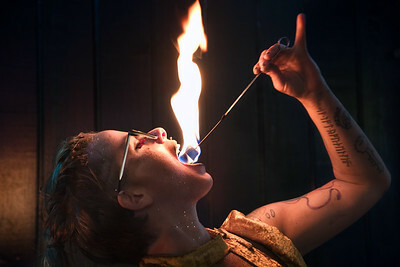 We were sipping on drink's in a bar on Bourbon Street in New Orleans French Quarter, when this young fire eater, started busking on the street just feet from where we were. 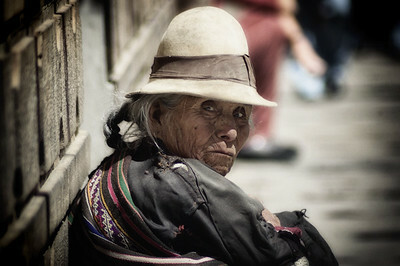 It was time to pull out the camera gear and get snapping. We shot this with our new FUJIFILM X-T2 and are still stunned by how much depth of colour its records. The clarity is inspiring. We may have found the perfect travel camera. 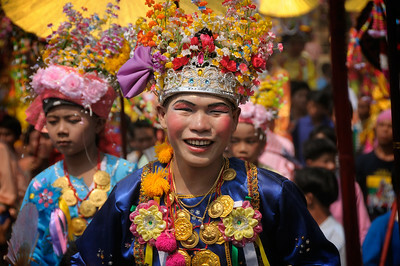 Young men in Thailand undergoing the monk initiation ceremony. Riding through India the relaxed face of this local man caught my attention. 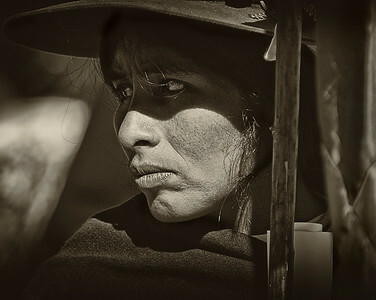 On the streets of Salta Argentina a group of women protest human rights. This is the fierce look of conviction. In the dark halls of a Wat on Bangkok this small child plays with fresh cooked bread as light pours in from a dirty window. 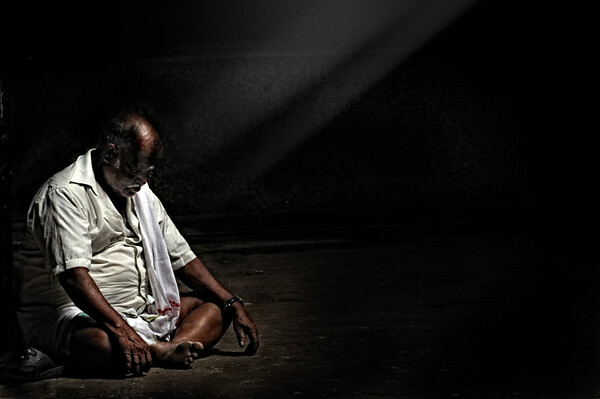 Deep in the dark sanctuary of Batu Caves, in Malaysia the local man sits and asks for alms. One finger says it all. 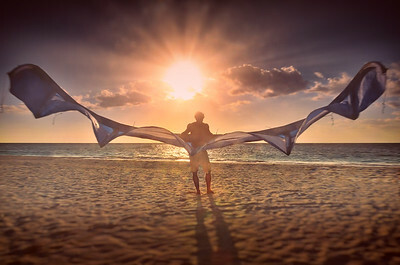 This is a simple shot of our friends Jacob, in Mexico Yucatan, as he walked his kite down to the water. the crap and dust on the lens actually add to the atmosphere of the shot as it refracts the light.